A life-long and proud resident of Morgan County found her way home on April 10, 2019. Martha Grace Hivnor Porter died peacefully at the Riverside County Care Center in McConnelsville. Martha was born on Lemon Hill on October 23, 1922. Her parents were Sidney J. Hivnor and Rose Staker Hivnor. They enjoyed the love in having seven sons and one spoiled daughter. Her brothers (all deceased) were Clarence (Bertha), Albert (Dorothy), Charles (Mary), Walter (Wava), Archie (Alberta), Forrest (Ruth), and Raymond (Glenna). During Martha’s early years she helped one of her brothers sweep floors and other odd jobs at a sandwich shop in McConnelsville. Martha attended Lemon Hill School and North Star School, both were one-room school houses. Due to difficulty in walking to North Star, the students were transferred to Deerfield School. In 1940, Martha graduated from Malta & McConnelsville High School. While in high school she enjoyed singing in the chorus, writing and at one time, Martha helped with a program at the historical Twin City Opera House, The Mikado. On April 5, 1942, Martha moved to Joe Town Hill to live with her new husband, Johnnie R. Porter; his mother, Mertie Benjamin Porter; and his two sisters, Ruth Porter and Pauline Porter Nelson. On the Porter side, Martha’s other in-laws were Frank (Ethel), Robert (Mildred), Kenneth (Ines), and Johnnie’s twin sister, Jeannette Eppley (Earl). Martha and Johnnie raised three motivated children…Roger (LaRue) of Florida; Carol Porter of Columbus; and Francis (Joan) of Michigan. East coast grandchildren include Lisa Kable (Jason) in Vermont; Jill Larsen (Steve) in New York; Julie Porter in New Jersey. Michigan grandchildren include Shannon Blick (Marcus); John (Kelley); and Jennifer McGuire (Patrick). Great grandchildren include Ethan and Bryn in Vermont; Stella and Theo in New York; Amber, Molly, Emily, Lucas and Carson in Michigan. Martha was also blessed with many nieces and nephews throughout Ohio and several other states. Prior to 1963, Martha enjoyed gardening, sewing, cooking and baking in addition to being a leader in auxiliary organizations in support of her children’s sports and musical activities. She also proudly served as the Malta Elementary School PTA President. 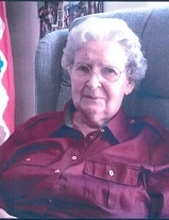 Martha was instrumental in numerous capacities bringing in health care services to the county, recognition of historical events, support of youth groups and, of course, the Morgan County Fair, especially the Floral Hall. Her blue-ribbon breads and Johnnie’s sweet onions were annual achievements. Being a devoted and hard-working wife, Martha stayed close to home until her cousin, Ray Barnes, talked her into helping him organize a business he had just purchased, the Morgan County Herald. What was to be a 3-month job in helping Ray organize the books eventually led Martha to becoming the Assistant Editor upon her retirement in 1987. Martha worked nearly 25 years at the Herald office and earned many accolades from local community groups and the Ohio Newspaper Association. Her weekly signature piece that many remember today was The Left Hand Corner. In this corner of the paper, you could always read uplifting news about Morgan County events, reflections on the time of day or holidays, and of course her family activities. For 84 years, Martha was an active and proud member of Deerfield Grange. She also is a life-long member of the Presbyterian Church once serving as choir director and Sunday School teacher. In 1968, Martha, Johnnie and Carol all joined Valley Chapter No. 19 of the Ohio Eastern Star. Martha followed her Porter Family’s commitment to leadership by accepting the call to become Worthy Matron for two terms. In 1988, Martha accepted the prestigious post of becoming the first Valley Chapter member to be the Deputy Grand Matron of the Ohio Eastern Star. Her travels throughout Ohio were personally rewarding and created life-long Christian fellowships with so many people. With three very active children and a loving and supportive husband, Martha continually found time to help others throughout Morgan County. She was an energetic leader and an advocate for paying forward, a devoted ambassador of the many qualities in life that Morgan County has historically provided to those living here, doing business here, or merely driving through. From her personal stories found in The Left Hand Corner to her award-winning baked goodies at the County Fair, Martha lived a full life of adventure. She endured an admirable and courageous life…a life surrounded by family and friends enjoying laughter and gospel music. Martha will always be remembered as being “fit as a fiddle” no matter the challenge of the day. She will always be remembered as finding the good in Morgan County each day. The Family wants to express our deepest appreciation to two very devoted caregivers, John Newman and Candy Kennedy. We are also very grateful to Riverside County Care Center, Buckeye Hospice and Home Care for their care of our Mother each and every day. Services will be held on Sat. April 13, 2019 at 2:00 P.M. at the McConnelsville Presbyterian Church. Burial will follow in the Deerfield Cemetery. Friends may call on the family on Friday, April 12, 2019 from 2-4 and 6-8 P.M. at the Matheney Funeral Home in McConnelsville. Eastern Star services will follow the visitation at 8:00 P.M. To send a note of condolence to the family go to www.matheneyfh.com. To send flowers or a remembrance gift to the family of Martha Porter, please visit our Tribute Store. "Email Address" would like to share the life celebration of Martha Porter. Click on the "link" to go to share a favorite memory or leave a condolence message for the family.